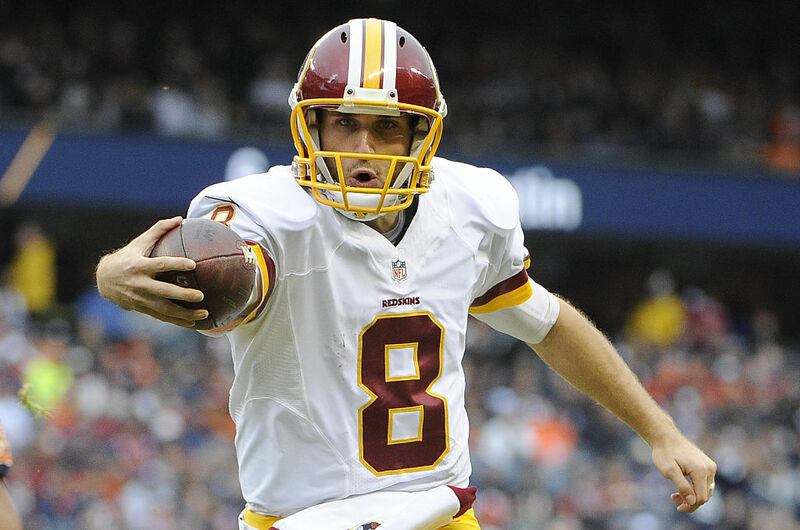 Kirk Cousins Is Betting Big On Himself… Will It Pay Off? NFL training camps are right around the corner. Players are wrapping up their summer vacations and heading back to their teams. Some players signed big contracts this offseason. Others didn't, but don't feel too bad – they'll still be getting paid handsomely. In fact, in the case of Kirk Cousins, he just might be setting himself up for a huge payday. Cousins and the Washington Redskins were unable to reach a long-term deal. Instead, Cousins will make $23,943,600 this season under the franchise tag. Assuming he plays all 16 games, Cousins will be earning $1,408,447 per contest. To further complicate things, the Redskins publicly announced what they had offered Cousins: $53 million guaranteed and a guaranteed total of $72 million in case of injury. Redskins president Bruce Allen made the statement a few minutes after the franchise deadline passed. Allen's statement mentioned the $53 million was the "highest fully guaranteed amount upon signing for a quarterback in NFL history." He also said Cousins would be "at least the second highest-paid player by average per year in NFL history." At first glance, it might seem crazy for Cousins to turn down that kind of money. In the NFL, contracts aren't guaranteed, so to earn $53 million is pretty impressive. But Cousins is actually making a very smart move here. By signing year-to-year deals, Cousins will end up making a lot more money in the long-term. He signed the franchise tag last year for $19.9 million. By the end of the 2017 season, he'll have made $44 million in two years. That's a steal compared to Washington's offer: $53 million guaranteed over six years. Cousins will make $28.7 million next year, if he signs the transition tag again in the 2018 offseason. That's nearly $73 million earned in three years. Since 2015, Cousins has thrown for 9,083 yards, 54 touchdowns and 23 interceptions. Teams signed quarterbacks with far inferior numbers this offseason. Cousins also knows no quarterback on Washington's roster can challenge him for the starting role. He'll have plenty of chances to demonstrate his talent throughout the year. Even if his future isn't in Washington, some team will pay him next offseason. Betting on himself is the smartest move Cousins could have made.